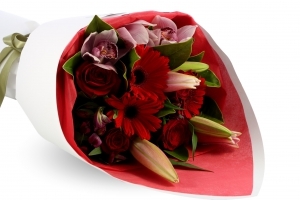 Arrange Floral Design is a Papamoa florist that offers a stunning range of freshly cut flowers, along with FREE same day flower delivery in Tauranga, Papamoa, Mt Maunganui and Te Puke, for orders over $40. 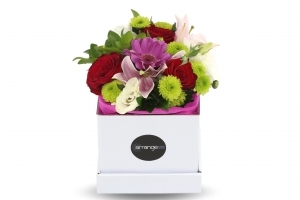 We have flowers as well as gift boxes for every occasion and for all tastes and budgets. 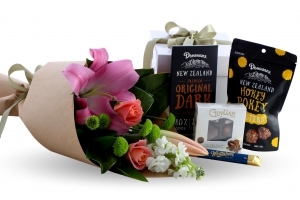 Whether you’re looking for flowers or gifts as gesture of get well or sympathy, or flowers to express romance or help celebrate an anniversary, birthday or arrival of a new baby, we’re confident you’ll find it at our Tauranga flower shop. 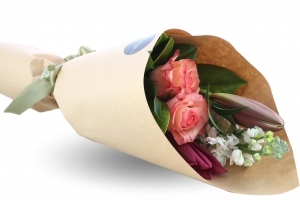 Take advantage of our free flower delivery in Tauranga, Papamoa, Mt Maunganui and Te Puke and order flowers online. 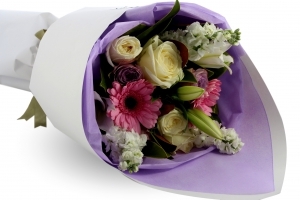 Please get in touch with us if you have any questions about our flower shop services and flowers in general. 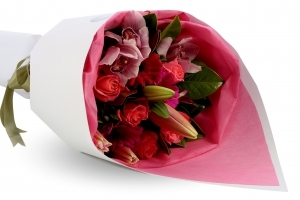 Make someone’s day and give the gift of flowers by Arrange Floral Design florist. 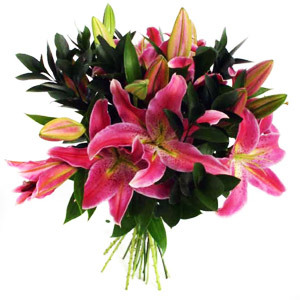 Arrange Floral Design love creating beautiful and stunning floral arrangements, from cute posies and funky bouquets to wedding flowers and corporate flower displays. Our florists prepare your flowers with the greatest care and attention using the freshest flowers and a touch of artistic flair, resulting in a modern arrangement carefully handmade and unique for you to enjoy. 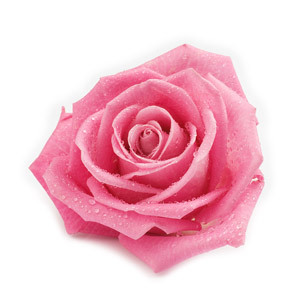 Arrange Floral Design is situated in Papamoa beach, Tauranga. 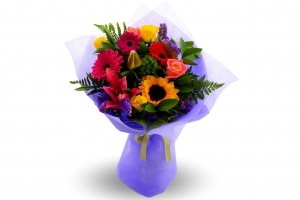 Our secure online service ensures a quick and easy process to order your flowers. 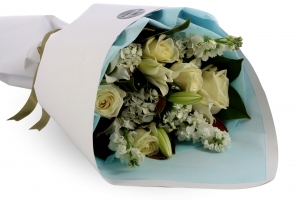 We personally hand deliver locally ensuring your flowers are in the best possible condition when left with the recipient. 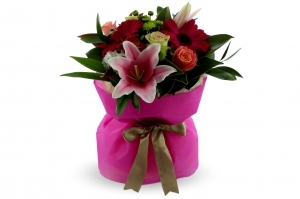 We have same day, free delivery of flowers in Papamoa, Mount Maunganui, Te Puke and most non rural suburbs of Tauranga. 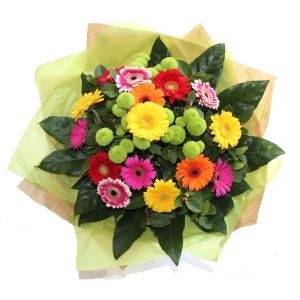 Arrange Floral Design offer a professional and friendly service to our customers and hope you enjoy your shopping experience with our Tauranga Florist. 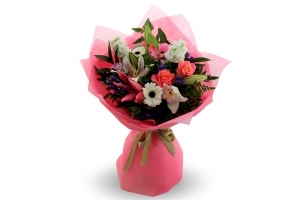 Free Delivery of Flowers in Tauranga, Papamoa, Mt Maunganui & Te Puke for orders over $40. 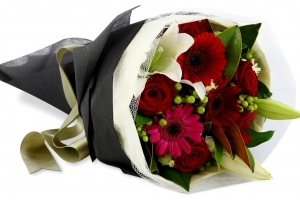 Arrange Floral Design offers free, same day delivery of flowers to Papamoa, Mount Maunganui, Tauranga and Te Puke. All orders need to be received by 1:00 pm for same day local delivery. If you miss this cut off we will still do our best to deliver as soon as we can. All Tauranga areas are delivered in the same day providing the order is placed before the cut off times. 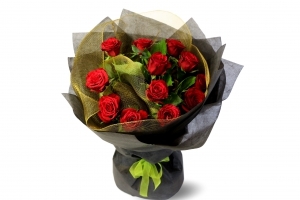 There are no Sunday deliveries or Public Holiday deliveries, with exception for significant days like Mother’s Day and Valentines Day. All deliveries will be dropped off at the Hospital's main reception. 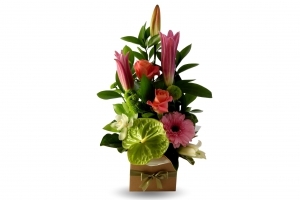 Arrange Floral Design has no responsibility for delivery from reception to recipient. Delivered at the time specified. Flowers were lovely. 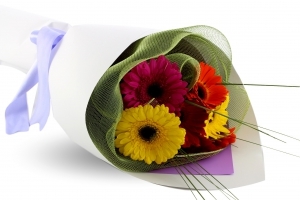 Thank you for your excellent, fast service and the beautiful flowers! Will definitely be using again! Your flowers looked really lovely and helped us to share our feelings with our friends even though we're in the uk and they're in nz. Thank you for helping us to cross the miles. 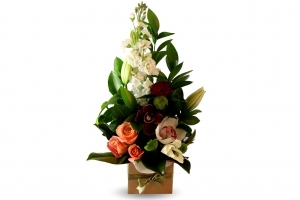 Beautifully arranged , just like the picture , delivered on time and very pleased with the service. My mother was very happy with the flowers. 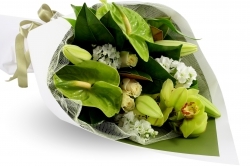 Very very happy with the service of the florist. The pricing and array of flower arrangements were superb. I rang the florist with a query and she was fantastic. Thank you and the very best for 2018. Excellent service, beautiful flowers and one very happy nana that loved receiving them on her birthday! I'll definitely be back again thank you. 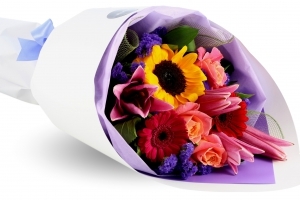 Modern pastel bouquet with seasonal flowers. 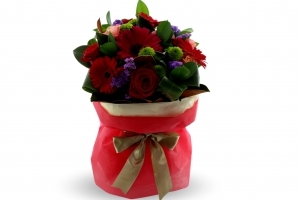 Modern red bouquet with seasonal flowers. 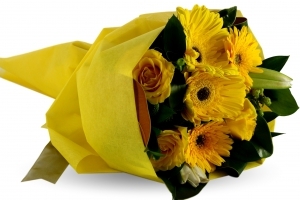 Modern yellow bouquet with seasonal flowers. 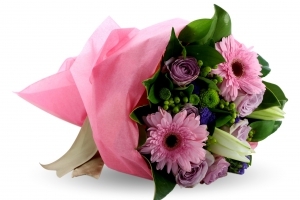 Modern pink bouquet with seasonal flowers. 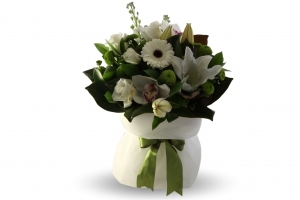 Modern white bouquet with seasonal flowers. 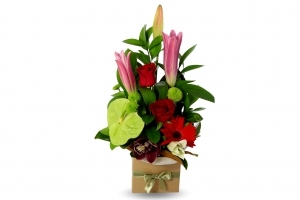 This bouquet is filled with bright seasonal flowers, Lilies, Roses and a mixture of green foliage. 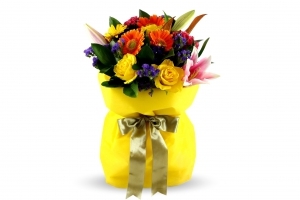 This bouquet is sure to make someone’s day or night. 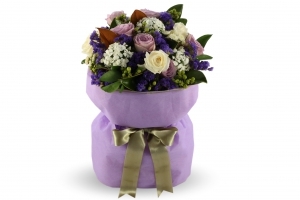 This precious bouquet has a selection of long stemmed pretty pastel flowers wrapped in a roll wrap with matching ribbon. A perfect bouquet for any occasion. 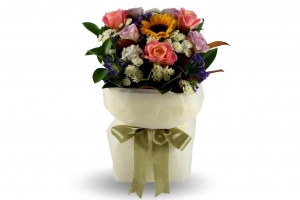 A sweet petite posy full of an assortment of seasonal flowers, displayed in its own gift box. A perfect gift for that someone special. Fire orange and red Gerberas, red roses and seasonal foliage. 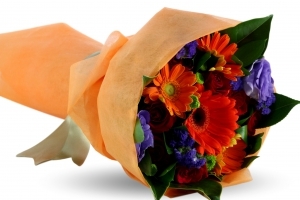 Presented in a soft orange posy wrap, tied with a colourful ribbon. Pastel coloured posy with seasonal flowers and foliage. 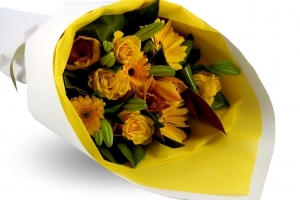 A bright yellow posy of yellow Gerberas, roses, lilies and seasonal greens. 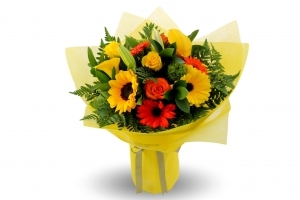 The perfect bunch of flowers to brighten up someones day. 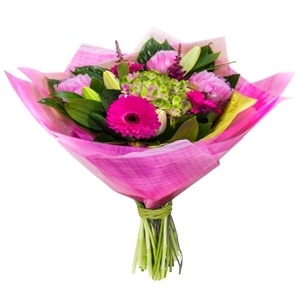 This funky posy has a selection of bright vibrant seasonal flowers, pretty pinks and greens wrapped in a striking black wrap and ribbon. 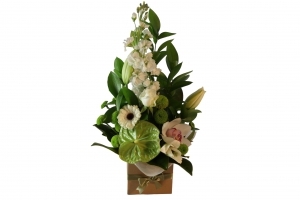 A seasonal arrangement with soft whites and greens. Perfect for any occasion. A seasonal arrangement of red blooms. Perfect for that vibrant person in your life. A seasonal arrangement with pretty pink blooms. Perfect for any occasion and guaranteed to make them smile. 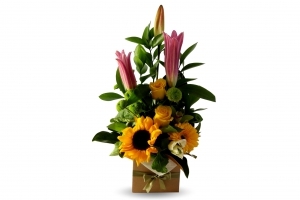 A seasonal arrangement full of bright and cheerful blooms. A sure way to brighten up the dullest day. A seasonal arrangement of soft pastel blooms. Simply delightful and perfect for that special person in your life. 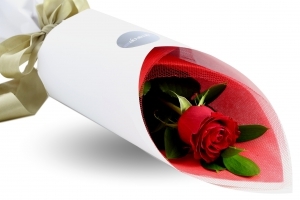 Long stem single red rose, with a elegant white and red wrap. 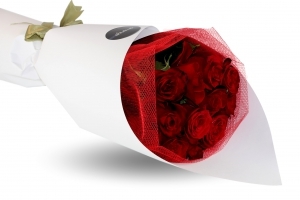 A beautiful bouquet of 12 long stem red roses presented in matching tulle and then wrapped in either a vintage roll wrap or a modern white roll wrap and tied off with ribbon. You decide what style will suit your loved one.